Ayam cemani is called the most precious species of the rooster for some reasons. The rooster is so beautiful with its black feathers. Yet, the most beautiful thing is not only that appearance. There is something so special about the rooster. This chicken species are originally from Indonesia. The rooster is not only beautiful but also majestic. 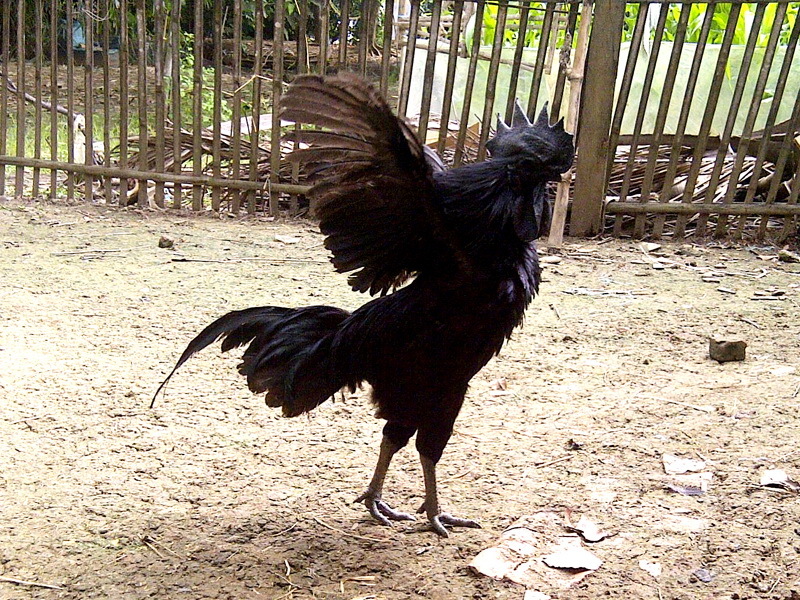 Indonesians, especially javanese believes that the roosters own a special power. In Indonesia, there are many cultural phenomena and mystical rites to do in many places. Indonesia is a Moslem country yet it was initially dominated by Buddhism and Hinduism. Therefore, there are many rites and mythical events hold for various purposes. The Indonesians love to do ceremonies in order to praise the Lords. Some rituals are conducted after the harvest. Some others are completed before holding a big event such as marriage party or any others. Of so many requirements that are possibly needed for doing the ceremonies, Ayam cemani is one of the most expensive ones. The Cemani roosters are believed to give a superpower when featured as part of a ritual. Javanese believe that Cemani is able to fight against the bad power of demons and black magic. That was actually due to the ancient beliefs. Yet, people still love to use the black rooster as part of the ceremonies. The magical feature of the rooster makes it admired even more. Many people believe that certain accessories and pets can bring bad lucks. Some people buy dream catchers to protect their tight sleep. Some others wear an old necklace in order to give them safety. And Cemani roosters have been long known as a unique animal that can bring good lucks. The owners believe that the roosters are precious belongings that bring good lucks. This makes Ayam cemani price even higher. 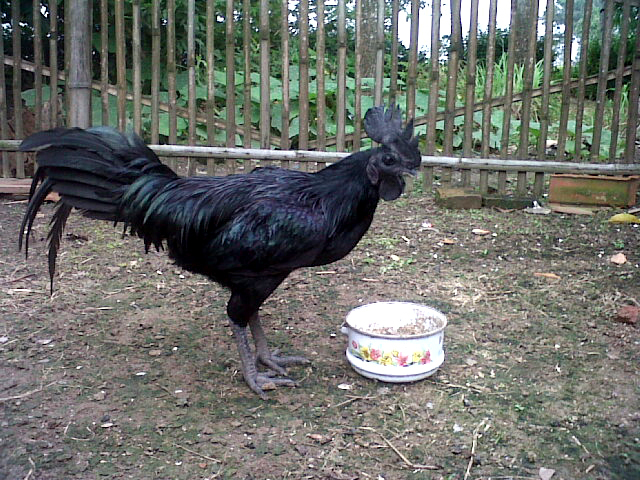 Ayam cemani with the unique black color has several different sub-species. One of the species is the one that is believed to have a special power of omen. Commoners find it hard to differentiate the roosters. When people see the roosters at a glance, all of the species look similar. However, people will know the differences as they look at the chicken closer. All of the species are said to have different magical powers. Cemani Widitra : This type of Cemani has a thin lining on the neck, chest, beak, and crotch. This is the cemani species that has an omen’s magical power of sending away demons. Cemani warastratama : It is the rooster that is often featured in mythical ceremonies. Cemani Kaikayi : The rooster is the one that is applied in a ritual to fight against voodoo. Ayam cemani can never look ordinary because of the unique appearance. Yet, the mystical rumors about the rooster make it even more expensive. Most collectors will know that the chicken is truly extraordinary. Do you dare to keep the black rooster at home?